When you hire the right company to take care of it, your flat roof can last well over four decades before needing to be replaced. If you need a flat roof repair, clients in Grand Haven, MI can trust Empire Contractors to get the job done in a timely and effective manner. As soon as you’re ready for us to come by and take a look at your roof, give our team a call at (231) 578-4760. Empire Contractors is an extremely experienced company. We’ve been together since the 1990’s. That’s a long time for a commercial roofing company to stick around. We’ve built a solid list of long-term clients and have earned the trust of many around the area. Our team isn’t going anywhere so you can count on us to keep up with all of your roof’s needs as the years go by. With so much experience, the roofing technicians at Empire Contractors are experts in all types of flat roofs. You can relax when you hire us for a project because our roofers are all properly licensed and insured. We’ll patch up any leaks on your flat roof so you can put any roof problems behind you. 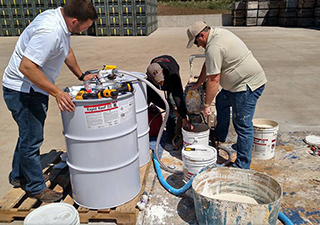 A roof coating can benefit your commercial building in many ways. For one, this seamless membrane will greatly improve the energy-efficiency of your building because of its reflectivity. 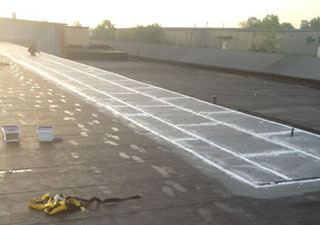 Secondly, a roof coating is a great way to restore an aging flat roof. This will extend the life of your roof and allow you to postpone the need for a roof replacement. After we’ve evaluated your roof, we’ll be able to tell you whether or not your flat roof can be effectively repaired or restored. If the answer is no to both of them, Empire Contractors will replace your roof. We offer quality roof replacements at low prices. Empire Contractors helps clients in Grand Haven, MI with all sorts of commercial roofing services. Whether you need a flat roof repair, roof coating, or flat roof replacement, hire us to get the job done right. To schedule a roof inspection, call us today at (231) 578-4760.